APX RDO is an evolution of our popular APX striker fired duty pistol that incorporates the ability to easily mount a Red Dot Optic integrally on your slide. 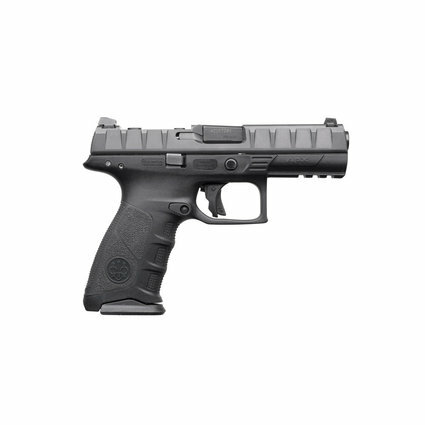 The pistol features all the same modularity of our standard APX line with the addition of a factory slide cut to accept one of 4 different optic plates. At launch, the pistol plates support Mini-Red Dot Optics from Burris, Trjicon, Leupold, and C-More. Also shipping with the pistol is a fixed blanking plate that covers the slide cut and allows the pistol to be used sans optic mount.